Great quote and unexpected source! It takes a certain amount of grit and intentionality to avoid the barrenness of busy! Oh how the enemy wants to sucker us into being busy. 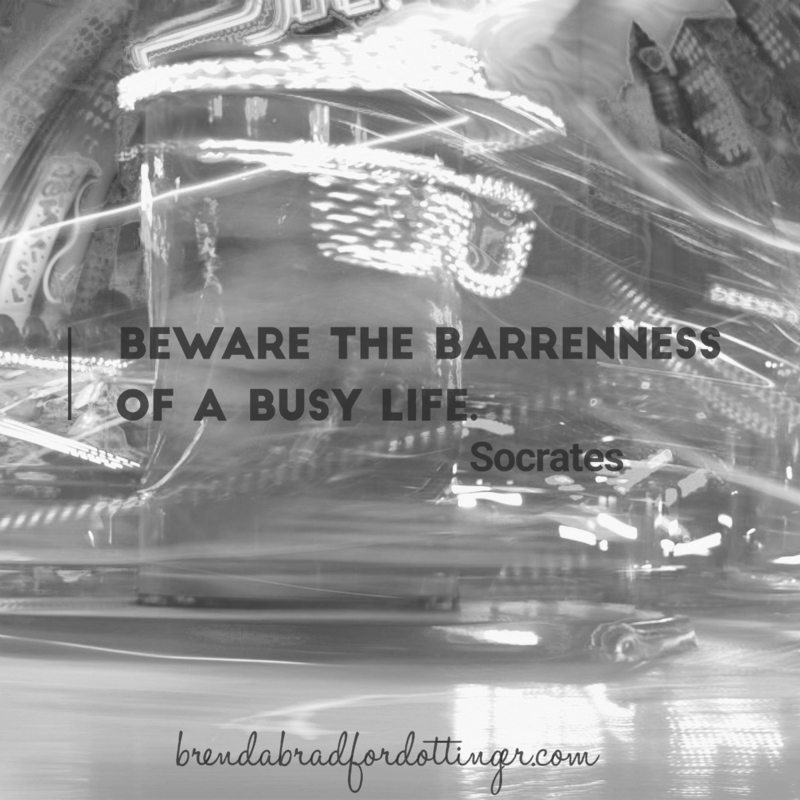 So true that busyness leads to a barren existence. Community with God and others leads to life. Bev @ Walking Well With God recently posted…What Do I Want To Be When I Grow Up? Thanks for sharing this great quote. It is easy to get caught up in busyness. Important to remember why that’s not the best idea. God never called us to busy. Amen! As always, a pleasure to link words with you my friend! I’m taking time out from busy this weekend and praying God speaks and directs my path. Thanks for the encouragement! That’s such a great quote! Hope you’re having a nice week! Great quote! I’m still chewing on that phrase “the barrenness of a busy life.” Thanks for hosting. Blessings, Brenda. What a challenging quote for type A,firstborn personalities! Praying you find time to rest and bear the fruitfulness it brings. Satan gets me every time with the busyness of life. I fall prey to his lies. Trying to fight back. Hope you have a wonderful weekend. Woah…. Those are some wise words from long ago… Wonder what he would say about it today… I guess exactly what he already did. Lord have mercy on my busy life and lead me instead to the fruit you have prepared for me! Great quote! I totally relate. Thanks for hosting! Great wisdom in that quote! Hope your summer is going well! Brenda, yours was the second post that addressed the topic of busy lives. That coupled with the things God has been showing me about my busy life are causing me to pause and really ponder. Thank you for this quote! I love the graphic! It’s a sermon in a few words.